Starring Josh Peck, Mary-Kate Olsen, and Ben Kingsley, The Wackness is an enjoyable account of a young weed dealer’s last summer in New York City before heading off to college. Before Warm Bodies (2013), and 50/50 (2011), Jonathan Levine directed The Wackness, an easygoing film with a cool stoner charm. 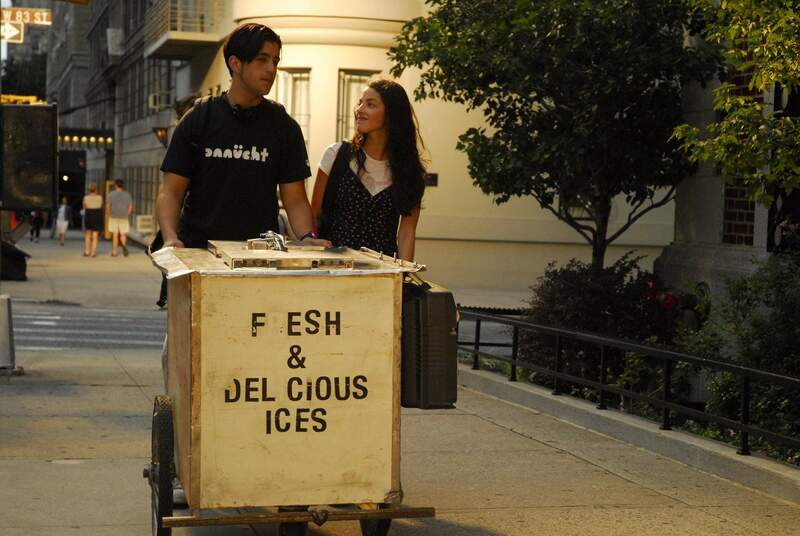 The narrative follows Luke Shapiro (Josh Peck), a teenager who sells weed from an ice cream cart. The film’s set in 1994, New York, and it tells the story of Luke’s last summer in New York City. We’re introduced to him after high school has ended and we get to share Luke’s experiences as he moves towards college and adulthood. Luke struggles to make friends, and he finds it difficult to talk to girls. In an effort to solve his social problems he visits psychiatrist Dr. Squires (Ben Kingsley), a medical professional happy to accept dime bags in return for his services. Luke and Dr. Squires form a friendship of sorts based on some common, if shaky, ground. Luke has his self-esteem issues, and Dr Squires has an unhappy marriage, and a midlife crisis to deal with. Luke’s luck seems to change when he meets Stephanie, Dr Squires’ step daughter. Stephanie (Olivia Thirbly) is one of the cool kids and after her rich friends abandon sweltering Manhattan for the Hamptons she spends more time with Luke. Together they cart his weed around and Luke introduces her to his eclectic clientele. Stephanie isn’t interested in Luke however and his ‘I love you’ pushes her away. This forces Luke to become better friends with Dr Squires, himself in the midst of an emotional trial. Their relationship is no more promising than any other in the film and their shared love of drugs shows just how much they value escapism. Kingsley’s Dr Squires is a long haired relic from the ‘60s who is seeking out a human connection, and who happily gives Luke plenty of advice. It seems though that his advice is more tailored towards a younger version of himself. Squires sees his own mistakes in Luke’s life and his desire to fix what’s wrong in Luke’s life is a desire to fix what’s wrong in his own. The Wackness is a breezy film, sound tracked by Luke’s excellent cassette mix tape, and it mines its early nineties setting to provide a sense of tone, alongside context. The performances however ground the narrative and ensure that the characters lives and experiences are relatable outside of a stoner setting. Dr Squires is a man who opted out but Luke still has years of life ahead of him. But early experiences can come to define adult ones and for Luke he’ll have to make some changes, and find some self esteem and direction, in order to lead a different life to Dr Squires. Jonathan Levine’s stoner indie tells the story of a young man who sells weed to get by. All he wants is to find a human connection, but all he does is toke up and disconnect from his surroundings. It’s helmed by an excellent soundtrack, grounded by strong casting choices, and it captures a particular corner of time through a unique, if hazy, lens. Summer is often nostalgic, life is often painful, and The Wackness lets us into a world that’s undeniably youthful and cool, but painful too.